Tucked away in Jupiter street in Makati is this quaint little oasis full of gourmet cocktails and hearty comfort food. It's perfect for the yuppie crowd or just anybody from the area. After a hard days work, all you need is a cold drink and really good food to make your stress go away. It was raining a bit when I arrived and it felt perfect to be there even if I didn't know a lot of people from this place - it's got a lot to do because the bar is conducive for talk. So when you're there, stay nice and wear a smile and grab one or more Mason jar cocktails; and enjoy letting lose every once in a while. Moonshine Bar is the child project of college friends (TITAN Restaurant Group) Chef Jehrad Dolino, Chef Rain Barbers, Renz Mediarito, Chef Jared Sto. Tomas, and Gian Mathay (who's based in Cebu). They were the naughty and notorious bunch in college, they were the ones that were more known for getting drunk before, while and after class. They were kind of frustrated seeing some businessmen that didn't even have culinary background, but have built pretty great restaurants. They knew they could do it, maybe even better. In the beginning. they didn't get to storm ideas that well because everyone wanted to trump each other - not surprised since they're all alpha males. They got together and butted heads one day, 3 off of 5 agreed with a more "Speakeasy" concept. It's a retro 1920's vibe, wherein movies, are usually seen where gangsters hang out. Yes, the concept's quite great. I love the few unique pieces they have on the lot like this light fixture on top of the table we dined in. 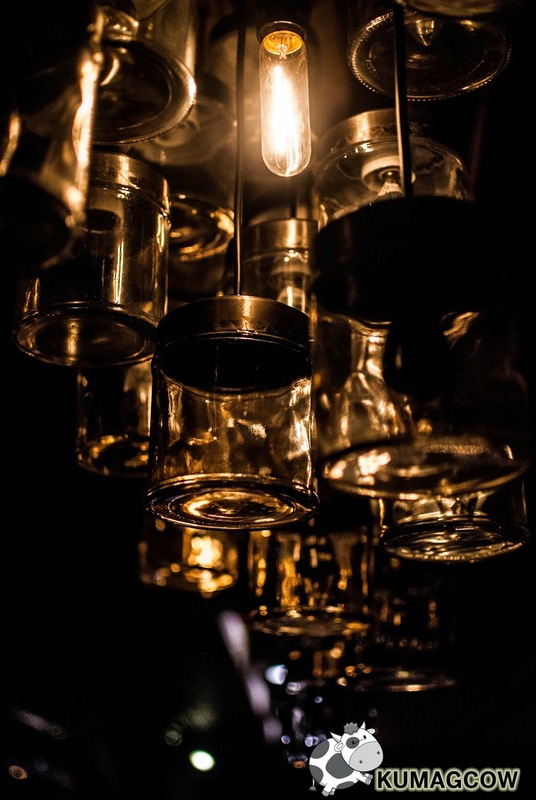 It's made of exposed light bulbs, glass jars and wrought iron whilst the tables were a mix of wood, upholstery with leather and a couple of bunk chairs. Seating can probably go around 50-70 people including the ones outside the porch. Just like you I can't take away my eyes off the mirrors and brick walls. It's not too fancy shmancy and they've got a great bar whipping up some great cocktails and drinks this side of town. The lighting is perfectly set for that "secretive" kinda place that "no one knows" feel they were going for. There's not much people around this area which would be perfect for the intimate gatherings you might want to have with friends, officemates and even family. There's a slight drawback on the brick walls though because once that other tables become a bit rowdy, you'll hear them quite much. Since you probably go here for fun, you wouldn't really notice it and might actually think they're you're friends too. We went there on California Wine Night so there were a ton or two of our foreign friends from Europe, US and Asia having fun with the multitude of wines they have inside the store. Still, nothing fancy but more relaxed. It's very near the Buendia MRT station, I literally walked from there. It's in front of the Car shop and about 5 buildings away from the street corner beside a little known Persian restaurant if my memory serves me right. Ladies, you are STRONGLY encouraged to go to this place not just for the drinks but the hearty food choices they have that you'll see in a bit. I didn't even know I'd meet really good people in this joint but I did so if you're alone, don't despair, you can meet people here. The place is tops for those who don't want ultra commercial places that charge an arm and a leg on drinks and chow, which gets us into our next piece. If you're out in town and you want to find very special drinks that are priced reasonably, then Moonshine is your best bet in Makati. We found gems, special creations of Chef Jared Sto. Tomas who also does Sous Chef work on Tipsy Pig in Kapitolyo, Pasig. I was impressed as soon as they put it on our table, take a look! Meet "The Grape Hooch", it's one of Moonshine's signature cocktails. This one really packs a punch so if you're into strong ones, take this as a starter. Don't let the crushed fresh grapes on the bottom fool you, it's not that light when it comes to alcohol. Its also got Absolut Kurant, fresh Sage and Ginger ale. 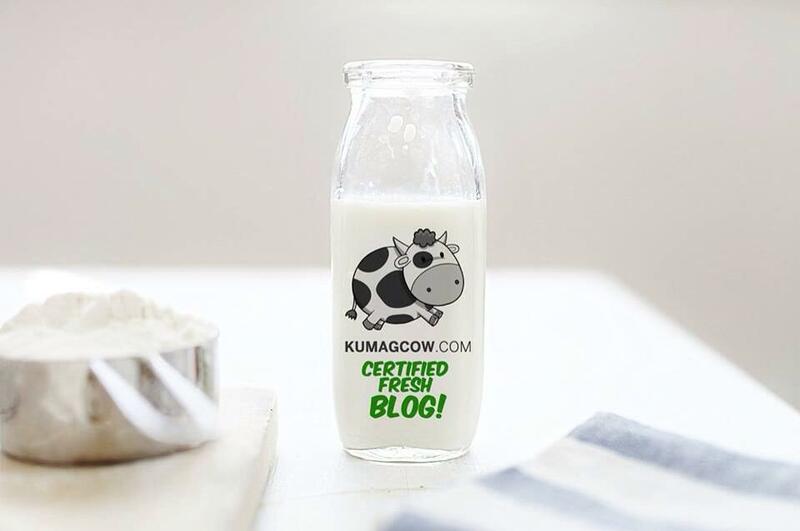 It's sweet on the middle but goes moderately strong in the aftertaste. The combination of herbs, fruits and alcohol was a smart thing to do and would make their line really different from the usual mixes found in restos in the area. I like this a lot. This is the "Jungle Juice". It's lighter and more fruity, contains Gin, Watermelon, Cucumber and Lime Juice. It's not too strong and perfect for things to drink if you're just passing by to get to the next bar in your itinerary. Thinking of that is a bit challenging though because I'm sure, you'll find more reasons to never leave the place if you get to see the food in a bit. Oh before I forget, for guys or gals who want to get serious with the cocktails, order "The Dark Horse". It's a rum based drink with ginger ale and lemon slivers. It's their strongest, but you won't feel it kick until a few jars after. Really good, now let's go to good comfort food. Appetizer or not, this Crispy Jalapeno Shrimp should be your starter. It's prolly shrimp with beer batter deep fried and paired with a jalapeno dipping sauce which is very light. Ladies loved it. I might have allergy with shrimp but I still tasted it, really good! My super favorite thing on their menu, this deserves a post on IG too. This is their "Truffle Mac and Cheese". I loved it that I finished the plate because it is so darn good. I sent praises to the Chef and he says it's their favorite too, no wonder! I wanted more but I had to be civilized there a bit LOL! This is definitely a must try if you're in Moonshine Bar and Restaurant. If I could only write expletives on this portion of the food review, I would. This is "The Bacon Stack" which I'll just call Bacon Heaven. It's perfectly fried to crisp bacon strips smothered with maple syrup and paired with spicy Baconnaise. Superbly done by people who love bacon too. Don't take my word for it, go to Moonshine and try it out! It was a more grand way of doing western Pork and Beans pairing by doing Lechon Kawali as the main protein ingredient. The Moonshine Lechon Kawali's chili was nice and the beans were al dente which I find nice because it made the whole thing like a layer of textures. Who doesn't like Lechon Kawali right? This one's good even without the rice! The fine soft slices of beef and sweet garlicky flavor of the sauce might deserve an applause if there weren't much people there who might thing we're weird. This is so good with the cocktails and I love how the crunchy bits and beef pieces melt together to make one of the many savory wonders in this joint. It's really good but it's nothing like your ordinary salpicao, they know how to cook meat and this was done so well you could definitely ask for rice with it. Really good, this is the Moonshine Steak Salpicao. Chicken grilled and rubbed with Jerk and Cajun spice served with Dirty Rice and grilled vegetables. The ladies loved this as it's soft and flavorful. The dip was also light and spicy. It's good with the rice mixed with herbs hence the "dirty" name on it. It's a really good way to have chicken, but you can't compare this to ordinary grilled or barbecue chicken as the flavor profile is complex because of the spices they added to it. Nikita and Yuki's favorite, the Whatta Jerked Chicken. They played around with the name of the popular fastfood chain and made this their piece de resistance called Mac Ribeye. Perfectly cooked medium ribeye steak that's got grill marks all over paired with my favorite Truffle Mac'n Cheese, it's my version of heaven on a plate. My love for protein can't be questioned and this one's very soft since there's a generous amount of marbling on it. I was a happy boy. Then they add my super favorite Truffle Mac'n Cheese, game over. You must have this hot as soon as they put it on your table so the pasta also stays creamy. You'll love this like I do. I'm dreaming of this as I'm writing about it! There are more memories to be made in Moonshine Bar. I had so much fun with the crowd, Nikita Conwi, Yuki Tansengco and these guys who made this place what it is now. Their Enderun college days may have been long gone but oh boy, look at them now. They are Chef's in their own right and owning some of Manila's promising restaurants and night spots. With passion, the value of brotherhood and family, they're proving us that you can't go wrong with that. 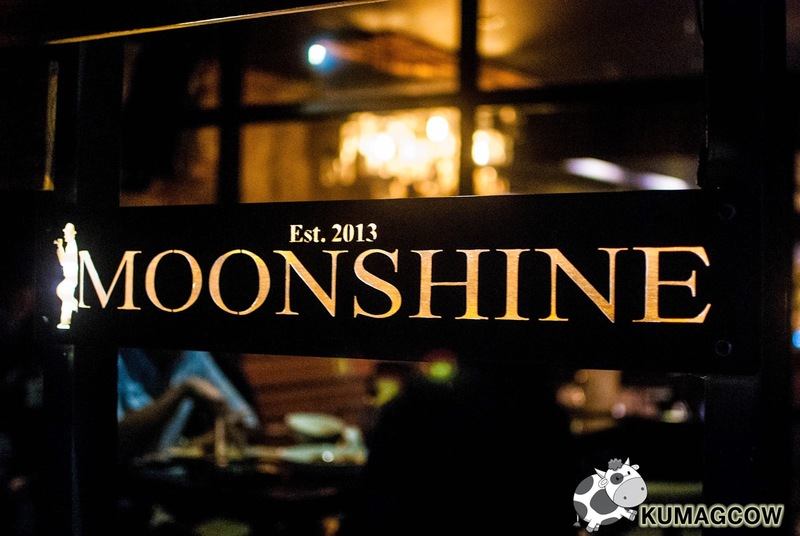 Moonshine Bar is going to make a dent on the Makati nightlife without getting overboard or overpriced. I was impressed to say the least with their offerings. The multitude of cocktails can make them different from the rest of the guys who are in that area. That's just one of their selling points. The food, you've seen how good it is in photos, even better if you get to taste it. They've got everything covered in Moonshine Bar and all you've got to do now is go give them a visit. For table reservations, give them a call at (02) 478 7340 or (0927) 8000 920.